We decided to breakdown the Patch 10 announcement into a series of blogs to allow more time for interested readers to get a deep-dive into each feature. And to allow us time to write them, after doing the actual work and getting things tested properly before release – you know small stuff. 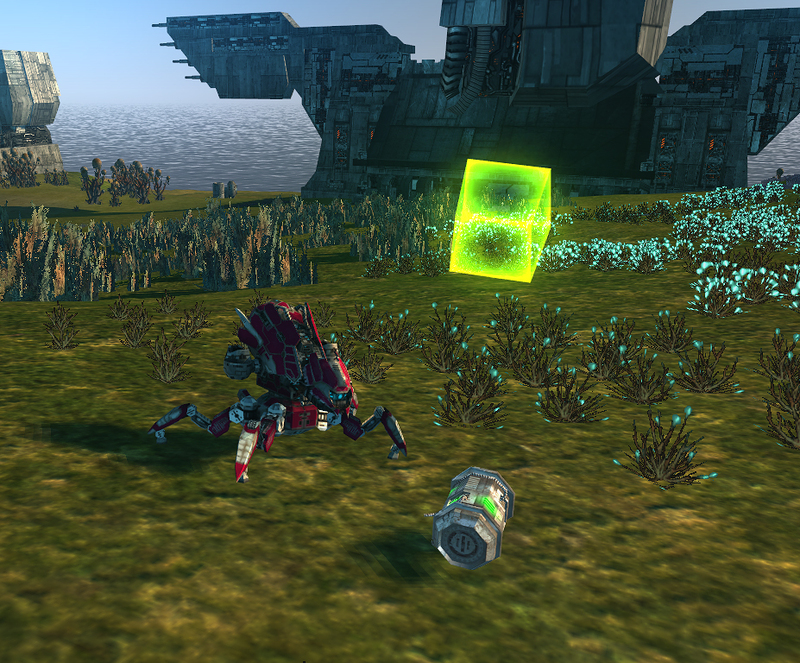 This time we are going to describe the Relic system, an entirely new feature added to the Open Perpetuum server. Relics have been found when buried remnants of Nian technology from the past shuffle to the surface due to the electro-seismic properties of the Nian continents and result in a mysterious release of energy on the visible spectrum. 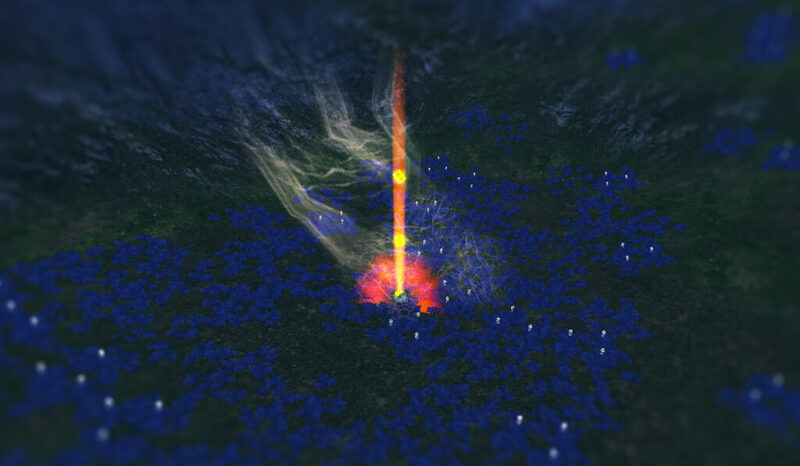 As you explore islands you will see beams of light shooting from the ground, and your HUD will also annotate this beam with the estimated content of this Relic – classifying the relative Level and Nian-Factional origins of the treasures contained within…. As you explore island you will see beams, when you approach within 30m, the Relic will “activate” and you will get a loot container assigned to you, and EP for the activity of finding a Relic. There are unique Relic types for each island-tier (Alpha 1, 2, Beta 1, 2, etc.). For each island-tier there are 3 levels of these relic types, and 5 factions (Thelodica, Nuimqol, Pelistal, Common, Industrial). 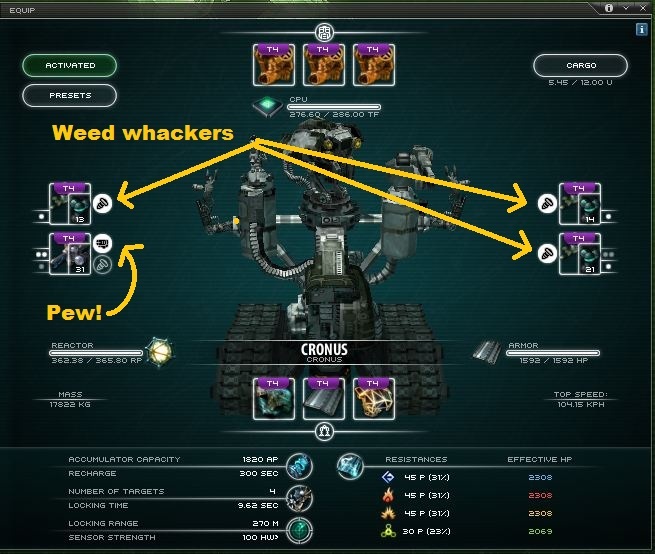 Relics currently, drop plasma, kernels, and fragments of types consistent with the faction, and quantities consistent with the level and island-tier. EP for each relic will also increase by level and island tier between 15 for Alpha-1 Level-1 Relic to 65 for a Beta-2 Level-3 Relic. In keeping with the Risk:Reward gradient, Relics follow a similar model. These are ballparks because there is a random range for each of these – though it is a tighter range than typical loot tables. Each island has a maximum number of Relics that spawn, they have the ability to spawn in random locations and preset (“static”) locations. The static types will be used in conjunction with later content and to allow design teams to use it as another tool to create unique experiences and challenges across the world. Relics last up to 3 days if not found, and every 1 to 2 hours a new one will spawn when the island has less than the maximum allowed. 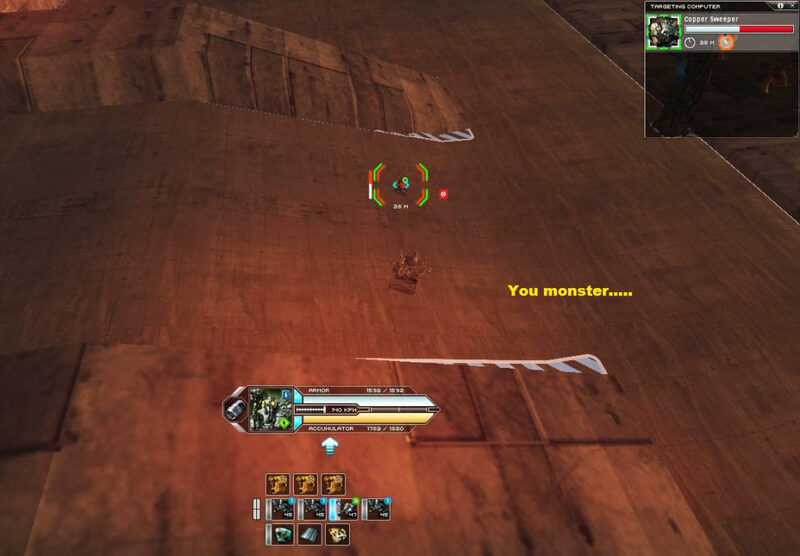 These are notably different from the Artifact system in that they are part of the competitive open-world sandbox experience as they are not unique per character. 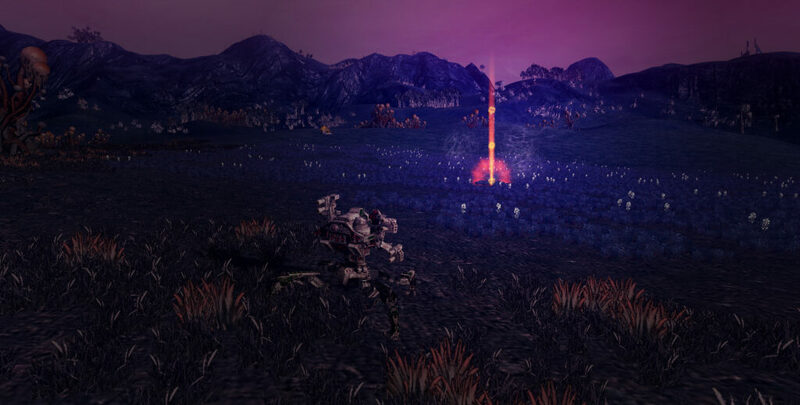 In conjunction with the respawn rate, risk:reward relationship, the incentive is to increasingly venture further and further out into the world to find these Relics. Designed with small cargos in mind this can pair with many other activities. This will require some attentiveness as afk-autopilotting might lead you right by a lucrative Relic. We hope you enjoy the new Relic system and that may enhance your game experience. 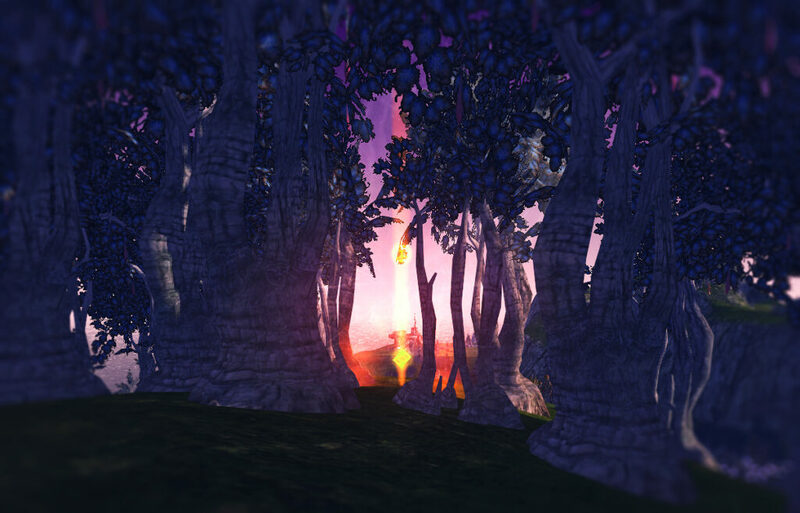 Open Perpetuum as of April 14th will have been live for ONE FULL YEAR. That’s 365 days of pure robot destruction and production! We also would like to point you to this promotional video now on our newly cultivated YouTube Channel. A brand new AnniversArkhe. This is limited time offer to those joining us in the first year. 1x EP Boost Item to help you boost your skills! We will also be celebrating this exciting time with an EP Bonus Event! You will receive +10x to your EP multiplier for 10 days April 12 – April 22 to celebrate Patch 10. So you might be thinking – wow that’s a lot of really great stuff. In fact we may have to go into more details in separate blogs! There is a lot here and there is more to come on all of these details, expect to see more blogs in the following days detailing these developments and look forward to patch day! Now what you have really been waiting for: SERVER STATS! Don’t miss out on your chance to add to those numbers! 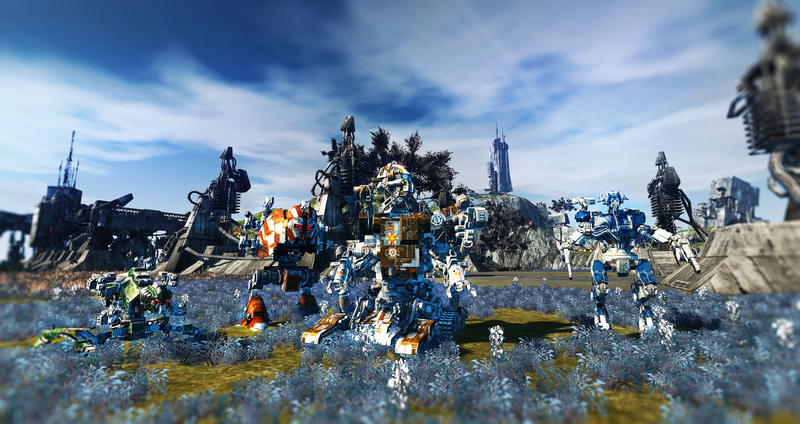 Join Open Perpetuum and tell your friends! This next patch is an exciting one! A number of these topics were sourced and vetted with the community directly through discussions on the discord and reddit, suggestions on the discord, and a lot of hardwork to make it all happen. The Cronus gets a gun! 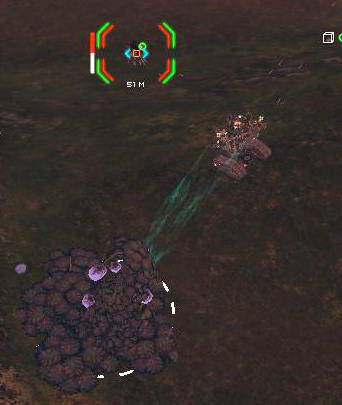 Interference Emitters can be shot at player targets! EP Boost Item coming to a Syndicate Shop near you! First one is the Cronus gun slot! You can still fit 4 harvesters or miners if you like, but you can fit a gun if you so choose. The gun size can be medium or small, and of any faction you want since there are no bonuses since it’s an indy bot to begin with. This will bring it in line with the rest of the indy bots that all have the ability to fit at least one “defensive” countermeasure. Finally those pesky drones and copper diggers (and more!) can be made afraid of your harvesting & mining prowess! You can collect resources AND shoot! We hope this solves the trouble people have been experiencing with the copper diggers taking a liking to them. They’re just lonely and want a parental figure, after all. Another amazing item coming soon is the EP Boost Item Consumable! This can be bought in the syndicate shop for Nic & all 3 factions’ tokens. These items turn add to your EP multiplier (just like bonus events!) by +2, +3, and +5 depending on if you buy a T1, T2, or T3, respectively. This will operate like any consumable/activatable item, like paint. Right-click the item in your storage and select Activate. The EP Boost will be active for the Operational Time listed in the Item’s info (24 hours for the ones featured here). You will not be able to activate another during this time; doing so will produce an “This Item cannot be used.” message. By example: If you have a multiplier currently at 1x, a T3 boost will put you at 6x (+5), if during that time there is an EP Bonus Event for, let’s say +10 (this weekend! Right now! ), your multiplier will be 16x (1+5+10). This obscure item has received a small Quality of life (or death) tweak we hope will lead to more use of it in the field. Previously, these could only “shoot” at tile targets. They will still be able to, but now they may be shot at a Player or NPC target. This will deposit the field device onto the tile that the player is standing on at the time – as it is a field device not an ECM or Sensor Suppressor. Like any field device, they can be shot, but they will apply a area-of-effect suppressor like effect as the result of any interference would. 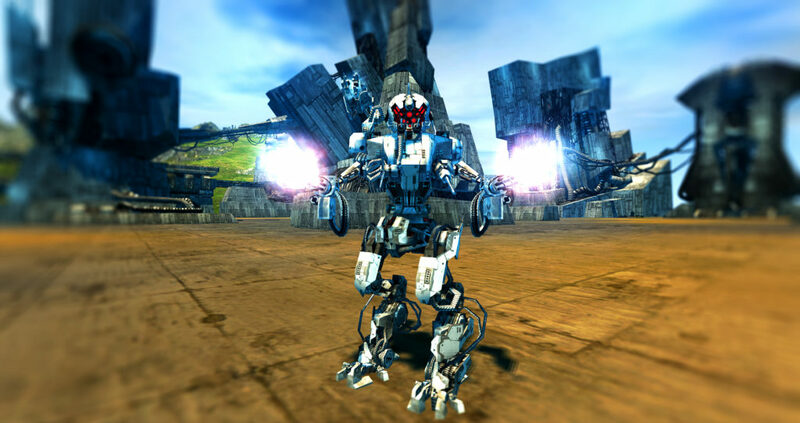 Mk2 robots and their Calibration Templates are being reintroduced in the next patch with a little extra twist! As you maybe aware the Mk1 combats already have the +1 head and +1 legs slots from the original Vanilla game and will not be added to here. 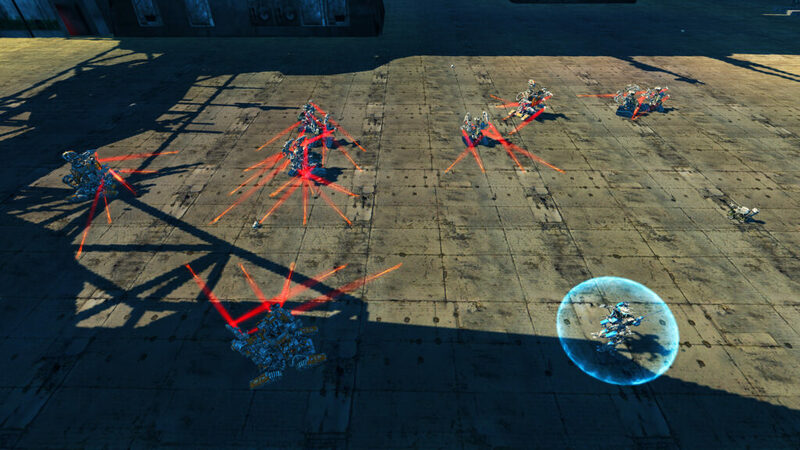 We find it important to not exceed the original performance of Mk2’s to allow room for higher robot tech levels, role-based specializations, and siege platforms. 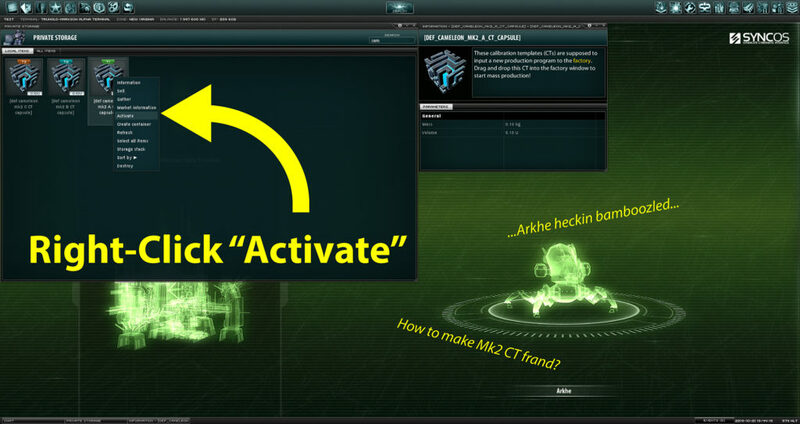 Thus the hi-tech bonus and base bot stats were augmented to increase the effectiveness of the Mk2 even without additional slots (Note: the industrials will receive the +1 slots). A common issue players have with CT’s is that they can’t be trading on the market, which for artifacters was a big pain to get their loot to interested buyers. While making the CT itself market-able is still a deeply rooted problem with how items with special properties are handled, we have a solution that gets the best of both worlds! 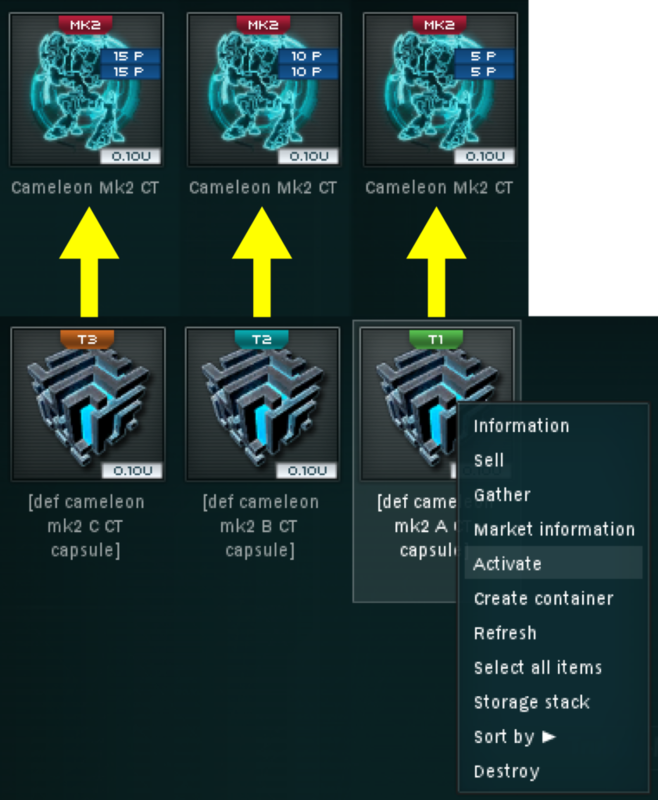 Introducing all new CT Capsules! These are a special item found only in artifact loot (so far) that can be “Activated” in your storage to produce a MK2 CT. They are able to be traded, bought and sold via the Market, which will ease players’ ability to sell and buy CT’s that they are looking for. 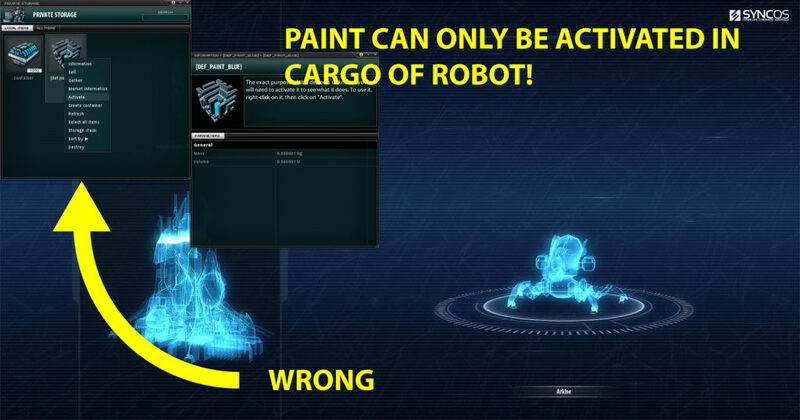 The CT Capsule, when an order is placed, can be found under the Syndicate Items / Requisition Slips category, same as the Robot Paints. The CT Capsules come in 3 tech levels [T1, T2, T3] where each tech level indicates the quality (point-values) of the CT it will yield. 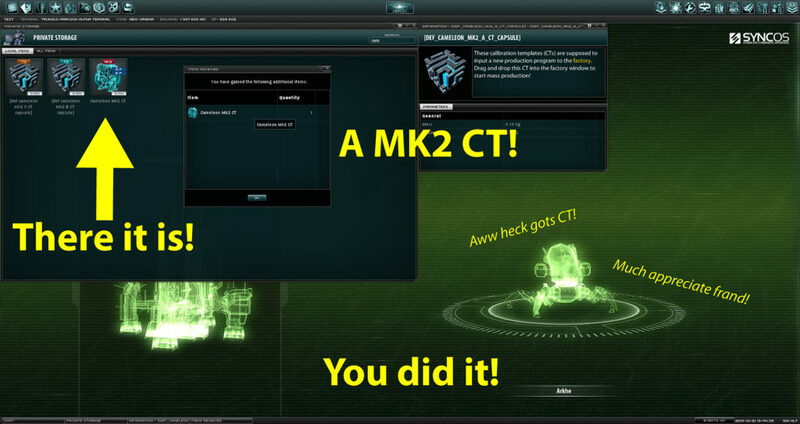 See Below for a Walk-through with Pictures on how to use the new MK2 CT Capsules! EP Multiplier: Viewable in your Agent Profile -> Extensions -> EP Rewards Window! One thing we heard a lot about was the need for more eventful things to occur on the server. Something to draw people together to enjoy a shared experience. 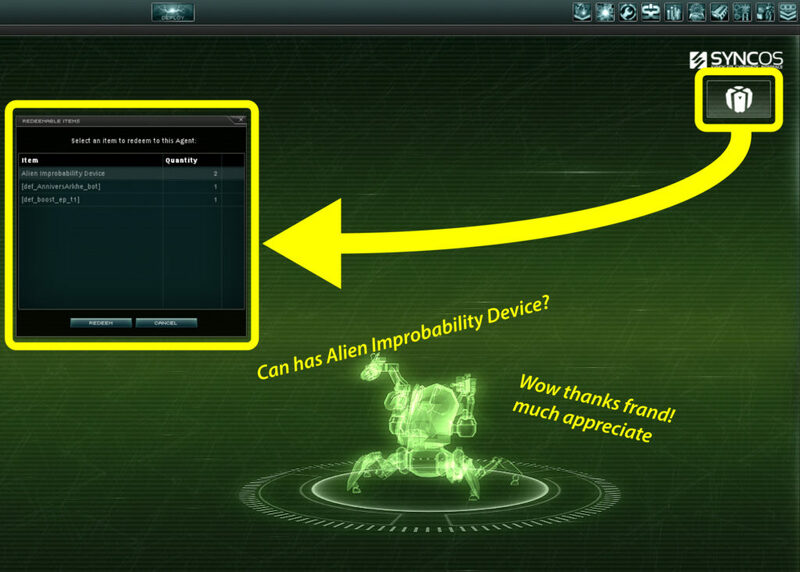 These are Dev-initiated events that can add a fixed amount to everyone’s EP Multiplier as shown above. If you have 25x during a +10 event, you get 35x! If you have 1x during a +10 event, you get 11x! This way the bonus allows both New and Old players alike to benefit equally! Our first event starts at 10/26/2018 at 00:00UTC and will go until 10/29/2018 00:00UTC (96 hrs) for a +10 bonus! We hope you find some time to enjoy the extra bonus. And don’t worry there will be more to come… Stay Tuned! As of October 14th, 2018 we will have been live* for 6 months! To mark this occasion we have prepared a few changes, and a small gift to show you our appreciation for continuing to support the project to help grow and improve Perpetuum! The Open Perpetuum Project formed over a year ago and back then we did not know what the future held. The community is growing and so is the game. We are doing our best to make the most of this opportunity, and can always use your help. 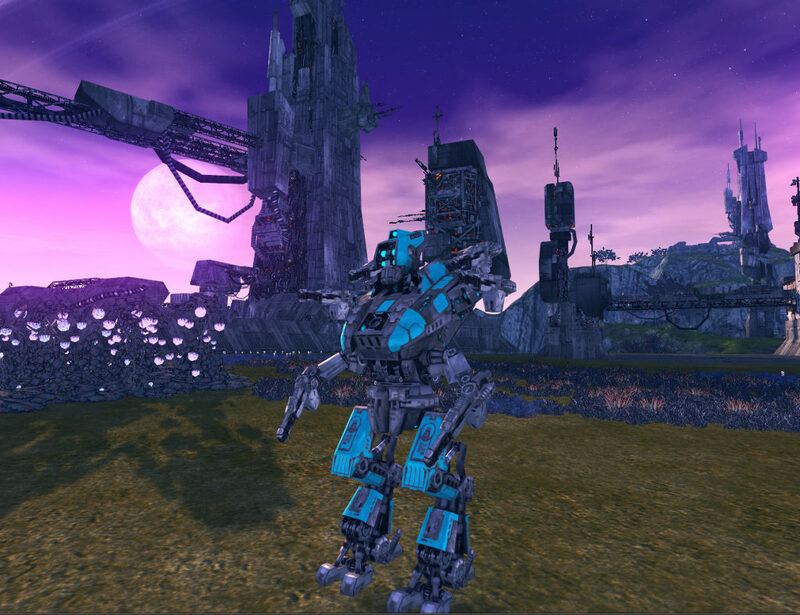 Remember the lifeblood of a sandbox MMO – like Perpetuum – is its players. Your actions in the game matter, and can create a more welcoming, attractive MMO to join and play together! We don’t get around to doing blogs as often as we would like, and give enough previews and anticipate future features and developments much before each patch. And this is something we can use help with! (See the volunteer blog for Community Outreach) In the meantime, enjoy some unexplained snapshots of some work behind the scenes for things to come. This appears to be important. Mk2 Capsule? What’s that about? We have wonderful news for our next Patch. The Squad Assignments reward structure is getting a full re-balance to ensure that participants see increasing reward as the squad increases in participation. Previously we introduced a 5% bonus to total NIC earned for each additional participant (maxed at 10). But you, the community, pointed out that there were still big tradeoffs. Tokens did not share or scale, nor did reputation scale, though it is shared. To address this we have detailed our approach in the following blog! 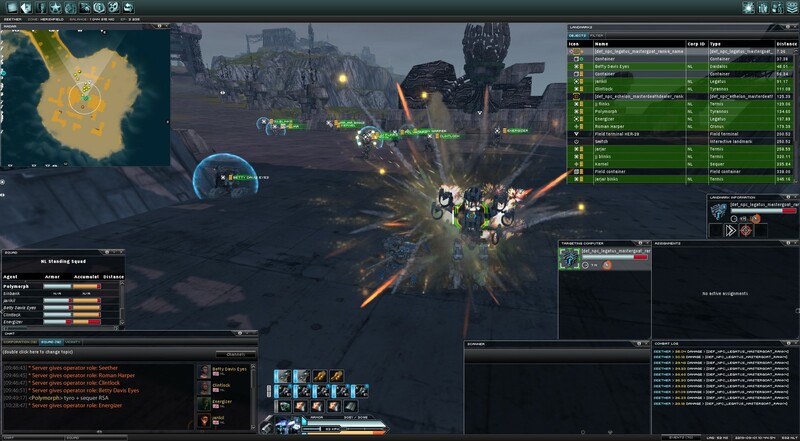 When you accept a mission in squad – this determines the total level of difficulty based on current squad size. This also determines the total possible reward. Both of these are capped at 10, neither the difficulty nor the rewards will scale beyond 10 for squads larger than 10 members. If more than 10 participate, the reward will split to all participants, diminishing the cut each receives as the total will remain capped at the 10-reward level. If someone in the squad of 10 does not participate, their cut of reward is forfeited. The increase for reward was only for NIC and it was linear: the cut you would see for 3/3 participation would be approximately equivalent to 6/6 or 10/10 participation (+/- all the randomness). Anyone in squad who either completes or assists in completing an assignment will be flagged as a participant. 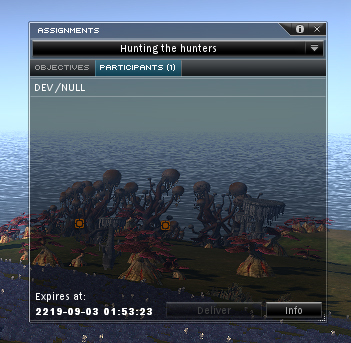 One can view currently logged participants in the Assignments Window, under the tab “Participants”. That log will update after objectives are completed. Some assignment types will be easier to do in different sized squads. The number of objectives that are randomly generated can also affect the ability for everyone to get a chance to participate. However as assignments become more difficult, it may actually require teamwork to complete. Some in fact were designed for squads with members of different capabilities. We accept that there are dynamics here that will and will not work to use the squad system in every case. However, we do see it as a problem when those that otherwise could squad up for assignments choose not to because the reward per time/effort diminishes compared to solo assignments. Tokens will now automatically be split and distributed to participants. A squad of 2** will get 110% more NIC, Tokens and Reputation. A squad of 10** will now get 150% more NIC, Tokens and Reputation! Also as you, the community, note: Beta 2’s (Alsbale, Novastrov, Kentagura) because of their layout, terrain, facilities, etc. appear to be less useful to capture and occupy because they lack certain necessities for beta-life. Still we knew our Beta-2 mission was not complete. Level 0-7, Mining and Harvesting Assignments are coming to Beta 2 outposts! Why not all types? Why not field terminals? Why level 7? 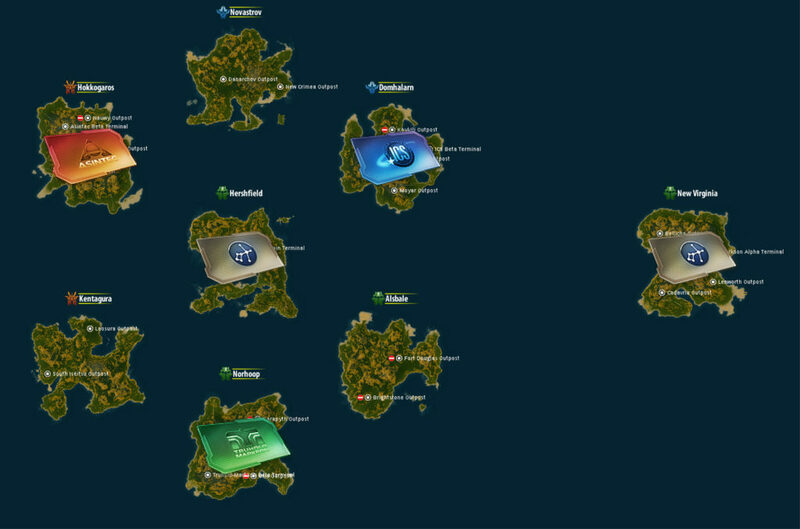 If you remember, the AC Devs put in extensive work to integrate the random assignments system, and seed the necessary infrastructure on the islands to have missionspots for every objective type scattered about in roughly equidistant fashion to allow players to do assignments wherever they like and let the random system send them on journey’s all about the island. There is an inordinate amount of work to achieve this that will require tooling development to support this at any reasonable scale. 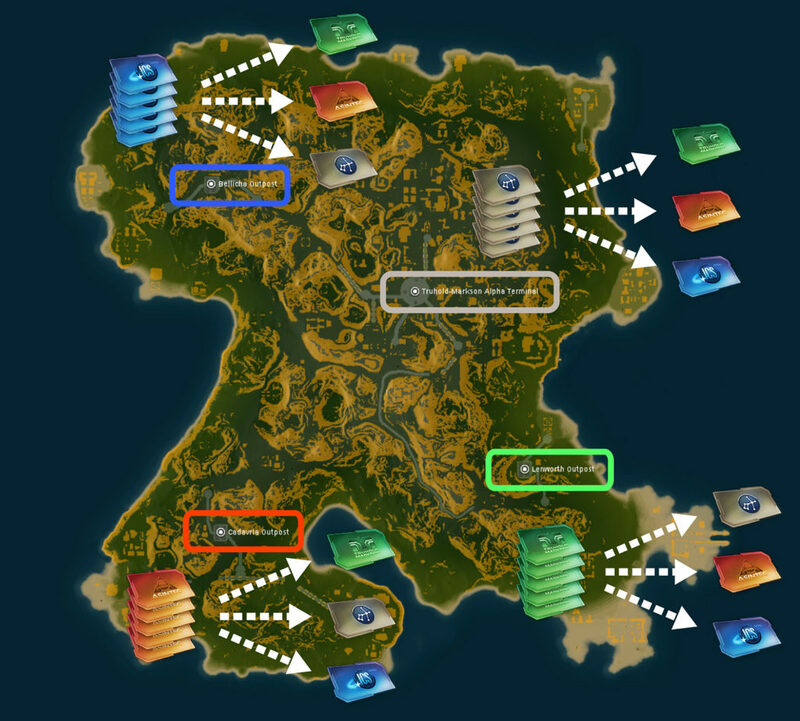 To do a full assignment system integration like the other islands would be too much of a set back to other Roadmap items we, and the community, are expecting. However, there was no good source of NIC for Beta-2 dwellers. Fortunately we found a satisfiable solution. Resource gathering assignments do not require the island infrastructure to be populated to correctly generate assignment objectives. Populating them at the existing outposts was the best solution. Level 7’s at the Beta-2 outposts are being introduced to also allow for players to gain higher reputation, further enhancing the beta-industry theme of Beta-2’s. Additionally, the higher level will give greater reward, but taking them from the outpost is often less efficient that from a field terminal. Thus we expect that level 6’s on Beta-1’s and level 7’s on Beta-2’s will be comparable in their reward per unit time and effort. We are interested in keeping Beta-2’s unique in some capacities from Beta-1’s and not simply making them strictly superior in every aspect. For example: this may create demand and traffic across the different betas, requiring agents to move beyond one island to access different content. Having everything you need at your doorstep may not be what is best for a open-world pvp sandbox; encouraging interaction with others (whether through the trade window, or at the business end of a Znatvoy-Berjiar-IA Medium Autocannon) should be what it is all about! Stay tuned for an announcement regarding these changes in the next Patch! 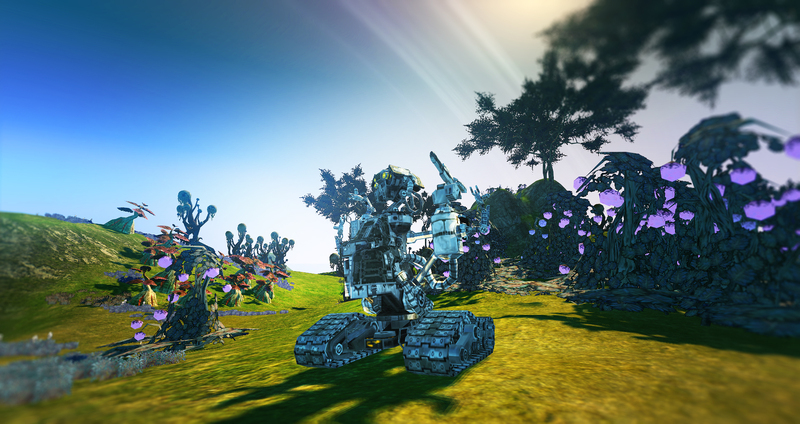 Live patch 3 brings many changes, most notably the Robot Painting System. Because this is a big addition to the Syndicate Shop’s selection of goods, we also took this opportunity to reconsider and re-balance some existing item pricing and provide new, improved, ways for players to access more and different content. Essentially, faction tokens are a PVP-good, which gives them a little more value than what one could achieve running alpha assignments, because of the inherent risk on Beta. Many have found lucrative ways to stealthily run assignments, and that’s great! A player does not need to conquer an island, or event an outpost to access these goods. However, to allow Alpha-players to get factional-tokens for goods sold at the Public Beta Terminals, and for Beta-runners to still have some reasonable way to get universal tokens. We have introduced the Token Exchanges! Instead of these sources being completely exclusive, and relying purely on sandbox economic forces to get tokens flowing across borders, the Token Exchange provides a way for players to access this content. An important point to remember is that using the Token Exchange, there is inherent loss. One would be more efficient using trading, the market, or running the assignments, to get the other Token-type. As a baseline, we introduce these Exchanges to allow players to have reasonably balanced access to goods, where the trade-off is increased cost to balance against the removal of risk. The Token Exchanges are located on alpha-only. Hershfield Main, and Thruhold-Markson Alpha (TMA) Terminals host the Universal-to-factional exchanges. The 3 outposts on New Virginia, Bellicha, Lenworth, and Cadavaria host each of the factional-to-the-rest exchanges. We had to disperse these orders among different shops because of a technical detail in the client that prevented the same item to be bought with two different pricing models or orders. However, it follows nicely with the local NPC’s that have invaded those corners of New Virginia. We hope this may give New Virginian residents hints to where they may find different NPC-factions to shoot. 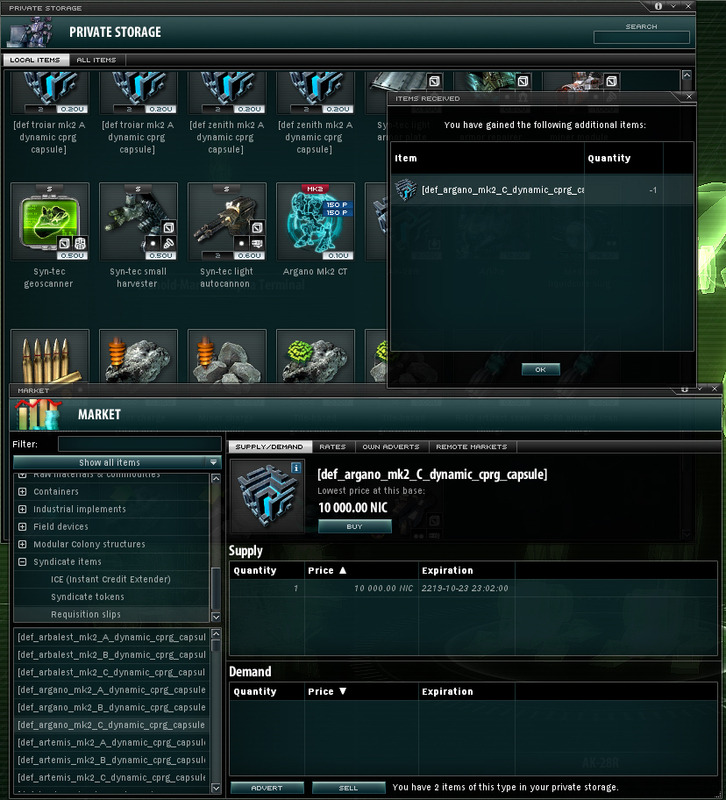 Furthermore we reduced the pricing of ALL AMMO on syndicates shops by half on the NIC price. These “PVP” ammos were underutilized through Syndicate Shop purchases. Players often opted to use what they obtain through SAP loot, artifact loot, high-end NPC loot etc. This includes the “advanced” scanner charges. Also to further spice up the Robot Paint idea. 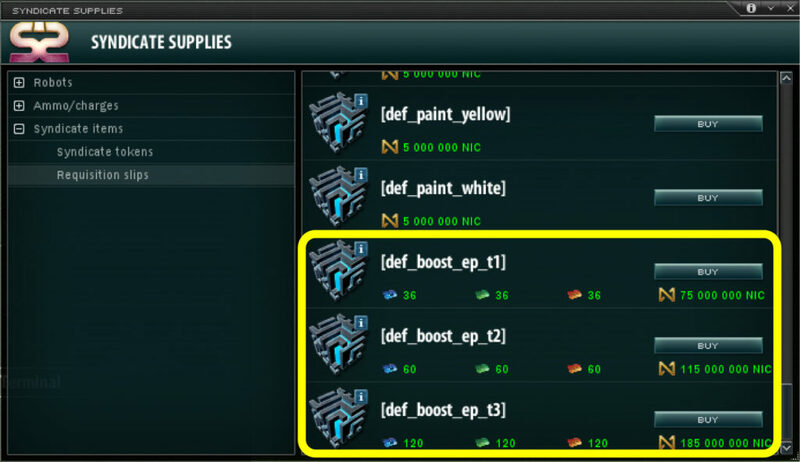 The Paint items are seeded on the Syndicate Shops for NIC-only on Alpha, and for Tokens-only on Beta. The mixture of the factional Tokens required for a paint is determined by the RGB ratio of the color, using each of the faction-Tokens to represent amounts of Red, Green and Blue. So if you find yourself with a surplus of Tokens but need the NIC, one may opt to purchase their paints using this method instead! Providing players more choice, and multiple ways to access and explore the content in the game, while maintaining a health economy is a tricky balance, but we hope these changes will move all of this in the right direction, and help us prepare for even more changes down the road. We are excited to deliver these changes in the next patch today, and hope to see all of you enjoying the new content! Many of these changes and features were direct requests from the community. Your support and feedback is a vital component to improving the game and helping it grow. We can not thank you all enough for the thoughtful suggestions and requests. Here is to today’s patch, and many more to come! 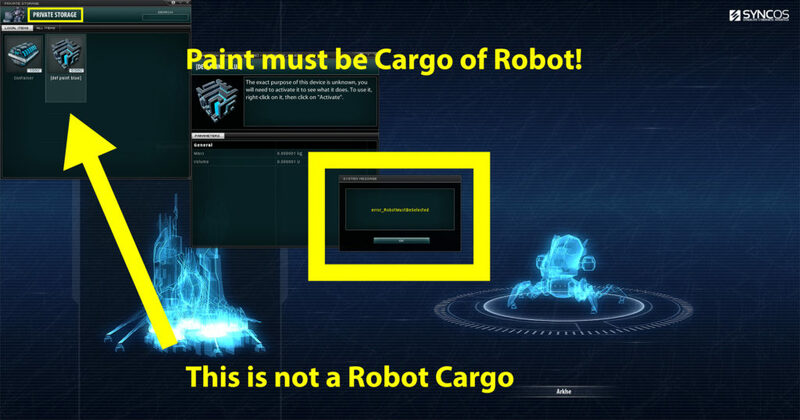 You have asked for Robot Paint since the time before time began, on a server long-ago. Robot Paint is coming to the server! 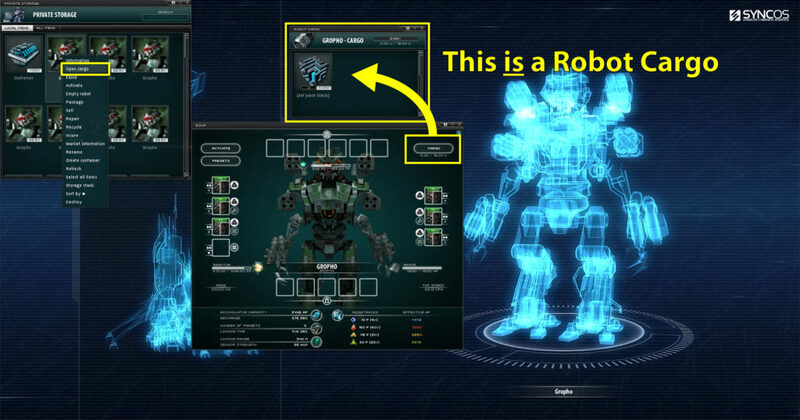 OpenPerpetuum’s guide on Painting your Robot! Because there is no good way to “preview” paints, we will have to rely on the community (that’s you!) to show us what all of your lovely bots look like with all of the different colors! Or for an assortment of Tokens at any beta terminal. Not a field terminal. Docked in a real Terminal. The robot must be unpacked (not necessarily “active”). A dialog will appear indicating the consumption of 1 paint (displayed as -1 paint). Right clicking on a stack of paints, in robot cargo, will only use one of the items off the stack. To Refresh or Show your paint, (re)open the equip window on the robot to which the paint was applied. At first, the color may not show if you have your equip window open. 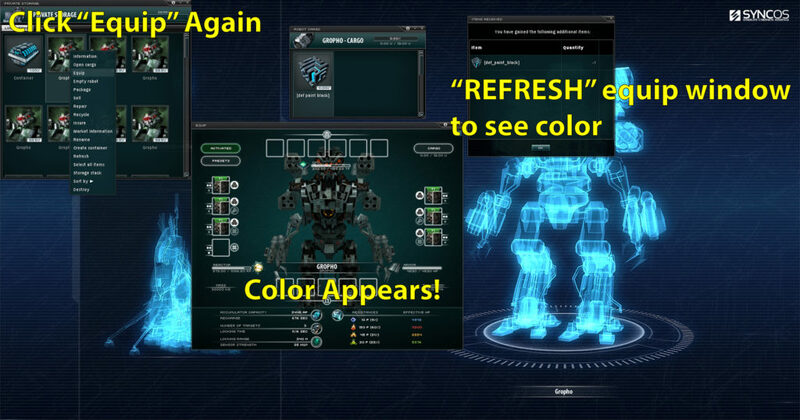 Doing anything to cause the equip window to refresh will force the client to re-render the robot, and your color will appear. You may also undock in the robot and you will see the new color. 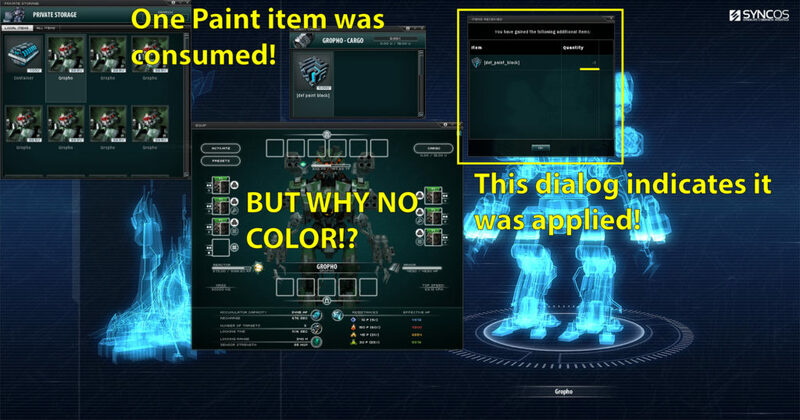 You cannot activate paints outside of a Terminal. It does not even present the option to do so. You cannot activate paints in a storage container, private storage, or any other storage. The “activate” button appears, but will give an error if you try. It is easy to mix up, be careful! 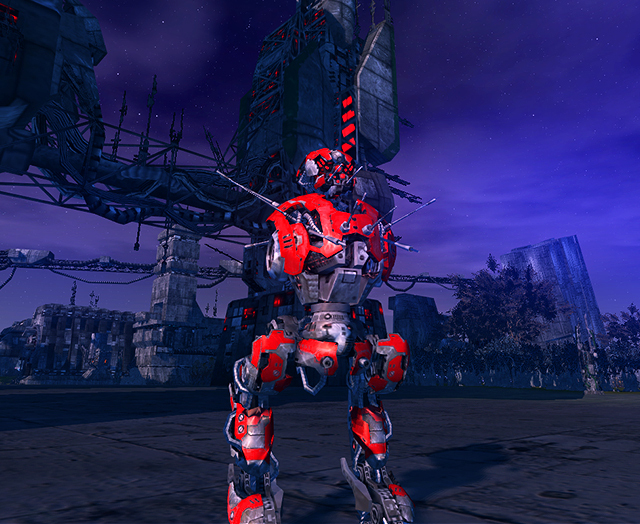 Repackaging your Robot RESETS the color and decay to the Robot’s “natural” (faction) color. 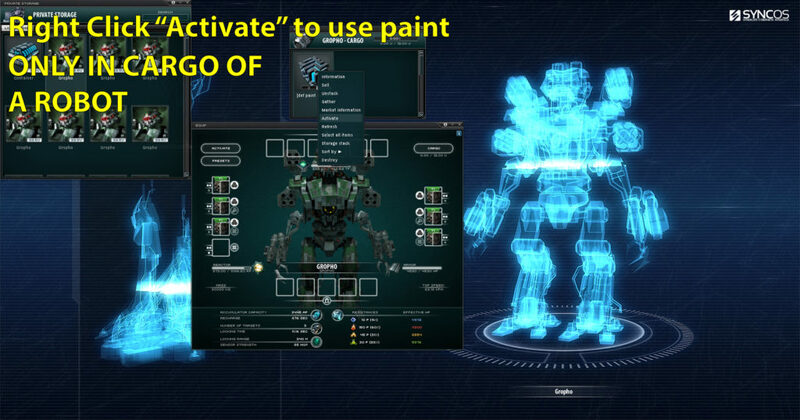 Paints are implemented with a few features that add to the immersion, economy, pve and pvp player experience. Activating a Paint consumes it. 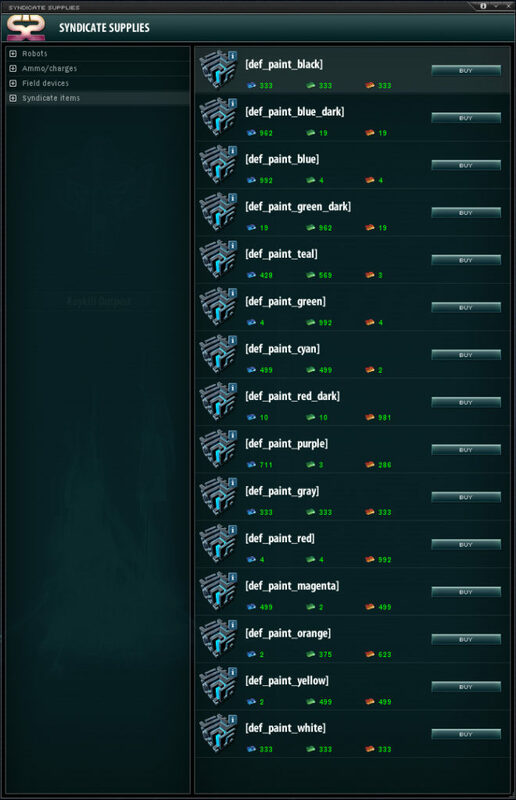 Paints are lootable, like any item. Carrying paint in cargo will be dropped on death (at same loot-drop chance as anything else). Robots with any Paint applied to them WILL DROP THAT PAINT on death. At the same loot-drop chance as other loot. Paints decay (just as your bot’s color did before). Each time you are shot there is a chance you gain some “decay” which is rendered as paint getting worn off over time and damage.